Campus Ministry’s largest annual event and a dynamic weekend away from campus, planned and hosted by a student leadership team in collaboration with ministry staff. March For Life: Washington, D.C. 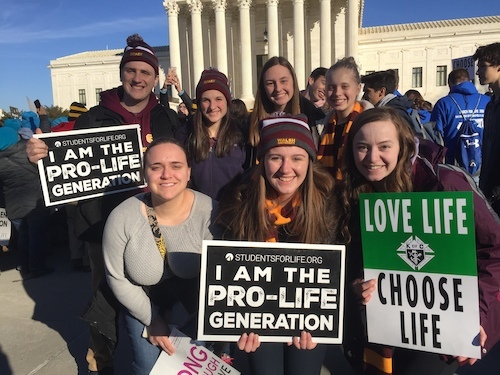 Interested faculty, staff and students travel to the annual March for Life in Washington D.C. Annual day of service within Stark County coordinated with the Office of Service Learning. Spring Break service retreat in Appalachia, serving the poor and growing deeper in community and prayer life. An opportunity to grow deeper in faith during the Lenten season. Information subject to change. For details, please contact the Office of Campus Ministry.